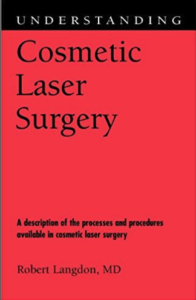 How Does Enhanced Active FX Laser Resurfacing Restore Youthful Facial Skin? magazine cover. But no matter how many serums and creams you apply to your face, you just can’t seem to erase the fine lines, wrinkles, sun damage, and other imperfections that plague your skin. Your skin deserves the red carpet treatment. That’s why it’s time to discover a better skin rejuvenating procedure — Enhanced Active FX Laser Resurfacing — at The Langdon Center for Laser & Cosmetic Surgery in Guilford, CT! What Is Enhanced Active FX? Unlike deep chemical peels, Enhanced Active FX technology produces superior results as quickly as possible. This treatment uses CO2 laser energy to remove the top layers of the skin through laser-induced coagulation. Coagulation kills the sun-damaged top layers of skin, which are rapidly (within a few days) replaced with totally new skin. 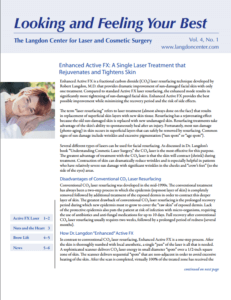 Additionally, the CO2 laser energy helps promote significant skin tightening, which produces youthful contours. Enhanced Active FX is different from its sister treatment, Active FX, in that it delivers the CO2 laser energy at a much faster rate (12 times faster), which causes much more skin tightening. Despite the intensity of this laser treatment, recovery is surprisingly rapid. A moisturizing ointment should be gently applied for the first week. After a few days of skin peeling, your new complexion will be revealed. It’s important to wear high SPF sunscreen after your treatment, as well as to avoid tanning or sun exposure before the procedure.